At Fuman Art, we value giving context to art by organizing, coordinating and/or curating original and unexpected art shows and events. We are very interested in bridging Art and corporations. The projects we promote are great opportunities for corporations and public institutions to enhance their image, get involved in CSR actions and promote their brands and products in a non-intrusive way. 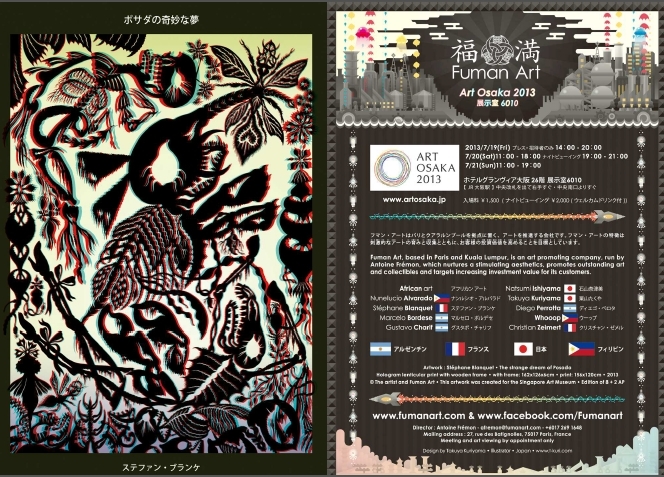 ART OSAKA 2013 is our first project in the Kansai region. 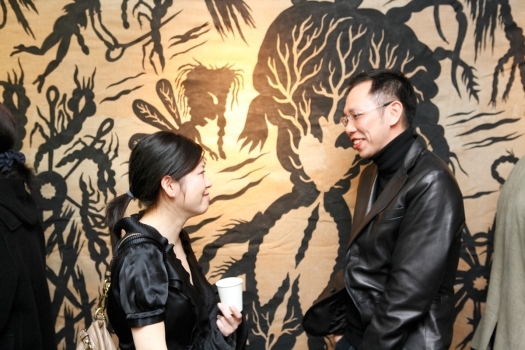 In this hotel fair, we introduced the aesthetics of Nunelucio Alvarado (Philippines), Stéphane Blanquet (France), Marcelo Bordese (Argentina), Gustavo Charif (Argentina), Natsumi Ishiyama (Japan), Takuya Kuriyama (Japan), Diego Perrotta (Argentina) and a selection of antique African masks and sculptures. 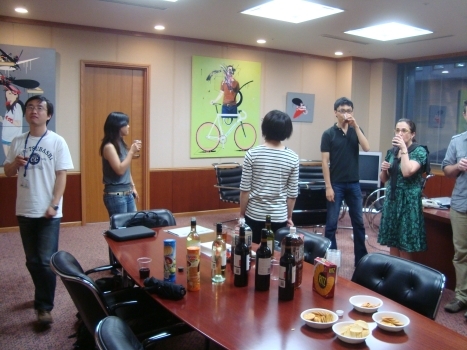 We had about 60 fine and rare artworks displayed. The project was very successful: more than 3,500 visitors visited the fair over the week-end and all our 1,500 flyers are gone. Artwork created by Gustavo Charif to adorn an event hosted in Kuala Lumpur by the Embassy of Qatar. This project reflects how an outstanding artwork can catch the attention of the audience and create a bond between the public. Without any specific instruction from the Embassy, Charif created this artwork called “Dreams in Qatar” by using images of Qatar for the collage. The iconic “Black Mamba” created by Stéphane Blanquet for the “Glossy Dreams in Depths” installation presented by the Singapore Art Museum (SAM) for Art Gardens 2013 from May 18th to September 1st. SAM expects around 100,000 visitors for this event which is very well received by the public. 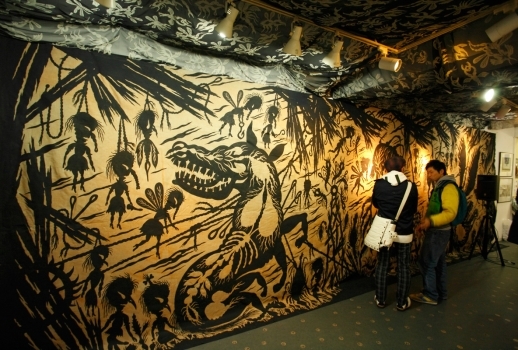 The whole installation was conceived by Blanquet specifically for this project: 4 different types of wallpapers, a mural painting for the activity room, furniture (beds, toy boxes, wardrobe, desk and chair…), 14 sculptures and 6 objects for the “magic wall”, 5 hologram prints with specific frames, 8 anaglyphic prints, 4 short animation movies, 2 musical environments, 2 rocking horse and, of course, Black Mamba. 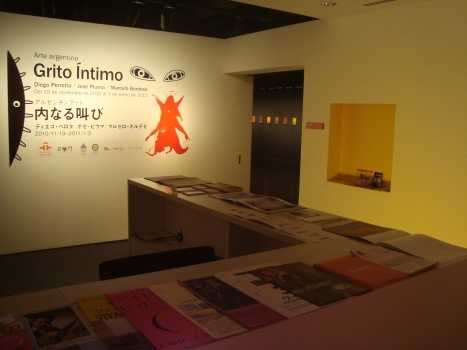 The theme of the event is “Imagination”. 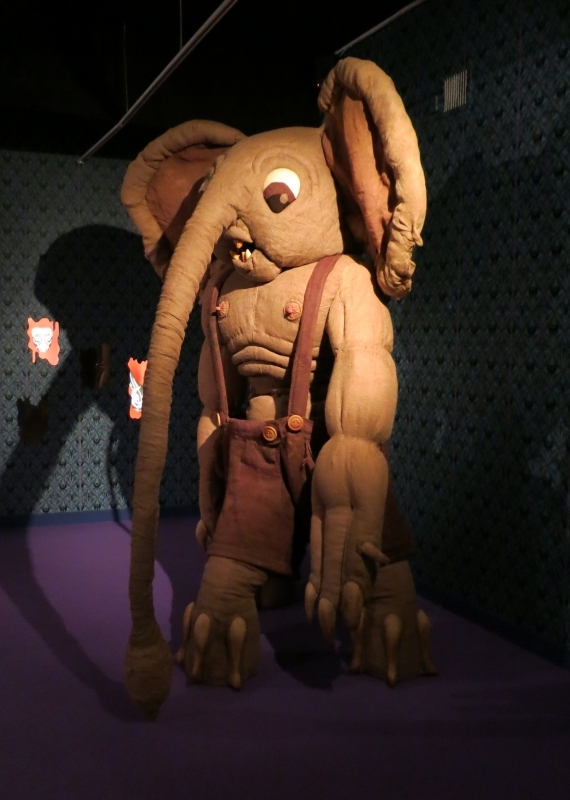 Blanquet’s aim, with this installation, is to create a link between children and adults with an experience rich in emotions for both adults and children. He also wanted to express that the unusual and the different can be very interesting. And last but not least, it is a work on memory: on how we remember our dreams and on the value we give to them. In 2012, the company Lamborghini commissioned Gustavo Charif to create live in the showroom over a period of 2 weeks the portrait of the new Lamborghini Aventador. This event was organized as a fringe event to Art Expo Malaysia 2012 where Charif represented Argentina. 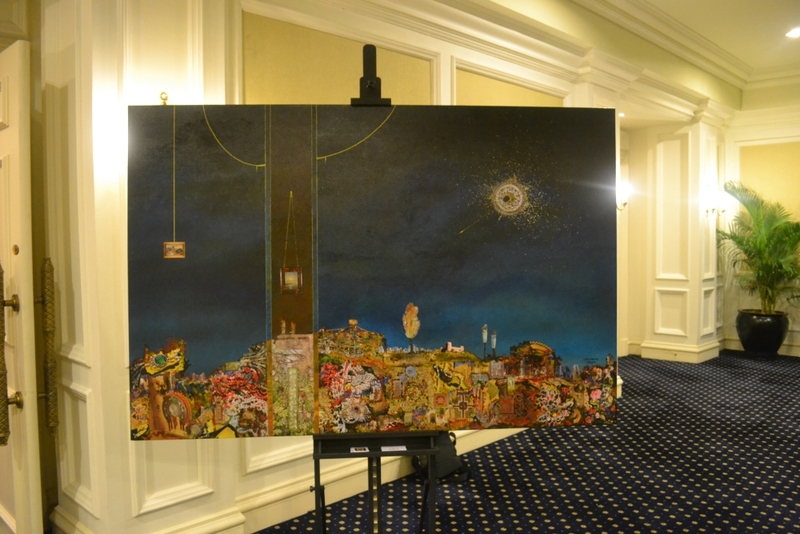 The painting was then auction by Henry Butcher Art Auctioneers as a special lot of their October 2012 auction. The major part of the selling price is being used to buy a collection of book on Latin American artists for the the Balai Seni Visual Negara, the national museum of Malaysia. Fuman Art, at that time known as Iwamon, was invited to show the work of 3 artists from Argentina expressing the pain of the military dictatorship that Argentina had to live with in the 1970’s up to the Falklands war. 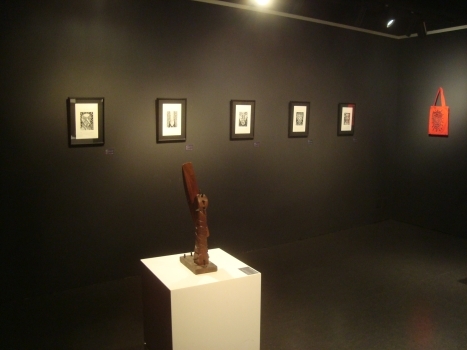 The three artists were Marcelo Bordese, Diego Perrotta and José Piuma. 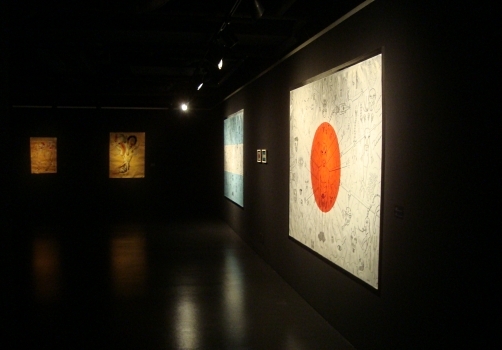 The show was supported by the Embassy of Argentina in Japan and was part of the celebration for the 200 years of the independence of Argentina (http://www.bicentenario.argentina.ar). The artist, Diego Perrotta, come all the way to Tokyo for three weeks. Presentation of the most recent works by Yamamoto Naoki in the Dean’s office of the Graduate School of International Corporate Strategy of Hitotsubashi University, Tokyo, Japan. Ambitious project combining various events and occurrences. First, there was a dedicated website for this project: http://tokyoblanquet.tumblr.com, we did a 3D cover for French magazine in Japan “Encore”, a special poster, various flyers, an exhibition at Span Art Gallery, a presentation of Stéphane Blanquet’s movies at the Institut Français du Japon – Tokyo, book signing events at Tacoche and Span Art Gallery, a talk show with famous mangaka Takashi Nemoto… Stéphane produced a toy and is working on various editorial projects with Japanese artists he met in Tokyo.